Since co-founding Tenth Street in 2005, Al has managed all of Tenth Street's funds. After earning a B.S. in Economics from Davidson College in 1973 and an M.B.A. from Harvard in 1977, Al Duke spent over 23 years working for SunTrust bank and its predecessors. He fulfilled roles in the international banking group, trust group, community banking group, and executive offices. In 1989, he became President and COO of SunTrust’s Chattanooga operations, where he was responsible for managing a $1.5 billion loan portfolio, and more than $5 billion in total assets. Al is actively involved in the fund's transaction actively. 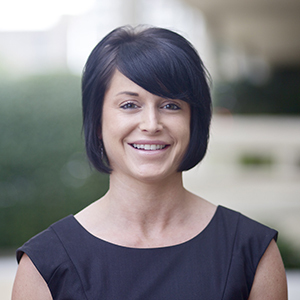 Prior to joining Tenth Street in 2007, Meredith gained experience in consumer lending and branch management at Wells Fargo, she moved to Tenth Street where, since 2007, she has managed the firm’s financial reporting and accounting. Today, in addition to these other activities she also participates in investment underwriting. Meredith earned her B.S. in Finance and an M.B.A. from the University of Tennessee at Chattanooga. Joe joined Al Duke in founding the Tenth Street family of funds and has been involved in its various activities since inception. He co-founded Joseph Decosimo and Company in 1971 and currently serves as senior principal emeritus. After serving in World War II, Mr. Decosimo graduated from the University of Georgia with a Bachelor of Business Administration degree and from Northwestern University with a Master of Business Administration degree.